Open daily from 10:30 a.m. - 4:00 p.m. Shortly after the end of Mexican rule, Californians began to clamor for statehood. In 1849, a constitutional convention met at Colton Hall in Monterey and proposed a constitution, subsequently ratified by the people, which named San Jose as the first capital. In December 1849, the first Legislature convened in a two-story adobe hotel in San Jose. The city was composed of little more than huts, tents and clapboard buildings, and the general discomfort did little to endear the city to the legislators. In 1851 a generous offer from General Vallejo induced the legislators to move the capital to Vallejo where a frame building had been erected for their use. Since housing was virtually nonexistent, many of the Members managed to secure lodging on the steamer Empire, which remained moored at a wharf during the session. Confusion and inconvenience again brought stormy cries for relocation. 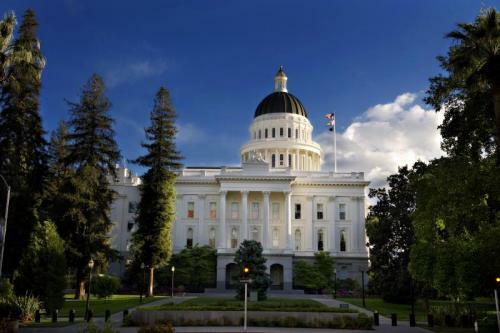 After convening in Vallejo in 1852, the Legislature moved to Sacramento to finish the legislative session. In 1853, the Legislature returned to Vallejo only to find conditions as inhospitable as before. To an exasperated membership, an offer from the community of Benicia for the use of its new city hall proved irresistible, and a bill was passed moving the seat of government to that city, where the legislative session finished. While the legislative quarters were adequate, it became increasingly evident that Benicia itself was too small to serve as the capital city. With this in mind, the Legislature determined that Sacramento would be the state’s capital and moved from Benicia in February 1854. Sacramento offered its courthouse for immediate use and a building site for the permanent Capitol. Shortly after the close of the Session of 1854, the courthouse was razed by fire, but a new one was completed in time for the next session. The new courthouse continued to serve as the home of the Legislature until 1869. This tenure was interrupted only once; during the winter of 1861–62 a severe flood prompted removal of the Legislature to the Exchange Building in San Francisco. Construction on the permanent Capitol was begun in 1860, and, though not completed until 1874, the Legislature was able to occupy its Chambers in 1869. 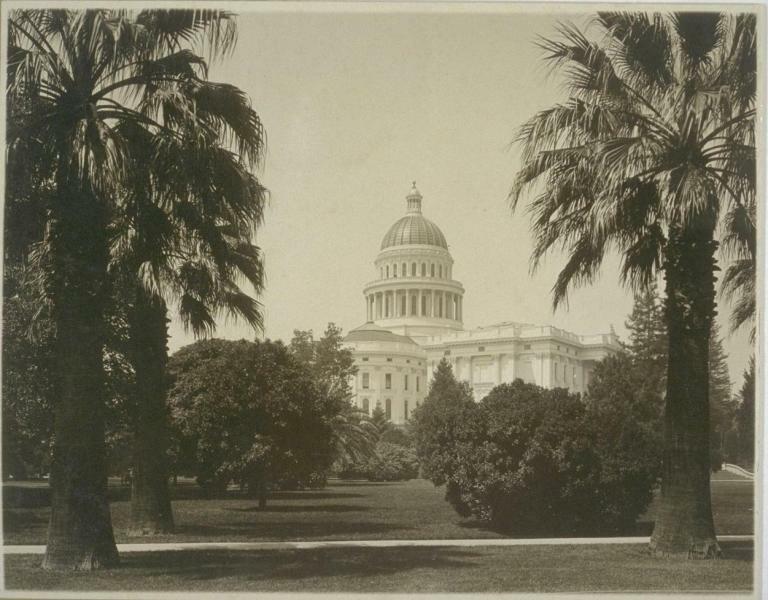 Except for a major “modernization” in 1908, the Capitol remained virtually unchanged until 1949 when additional space requirements resulted in the construction of the Capitol Annex. Completed in 1951, the Annex attaches to the east side of the old Capitol and houses legislative offices, committee rooms and the Governor’s offices. In 1976, a total reconstruction of the building was undertaken to strengthen and reinforce the weakening structure. This monumental project was completed in January 1982, and the old Capitol, restored to its turn-of-the-century decor, was again occupied by the Legislature and opened to the public.